JFK learned that his older brother Joe, Jr. was gone. 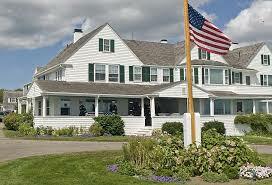 I remember that it was Sunday afternoon and we all had lunched outside, picnic style, on our big porch at Hyannis Port. It was about two in the afternoon, and Joe Sr. had gone upstairs for a nap. The younger children were in the living room chatting quietly so as not to disturb their father; I sat reading the Sunday paper. There was a knock on the front door. When I opened the door two priests introduced themselves and said they would like to speak with Mr. Kennedy. This was not unusual: priests and nuns fairly often came to call, waiting to talk with Joe about some charity or other matter of the Church in which he might help. So I invited them to come into the living room and join us comfortably until Joe finished his nap. One of the priests said no, that the reason for calling was urgent. That there was a message both Joe and I must hear. Our son was missing in action and presumed lost. I ran upstairs and awakened Joe. I stood for a few moments with my mind half paralyzed. I tried to speak but stumbled over the words. Then I managed to blurt out that priests were here with that message. He leaped from the bed and hurried downstairs, I following him. We sat with the priests in a smaller room off the living room, and from what they told us we realized there could be no hope, and that our son was dead. Joe went out on the porch and told the children. They were stunned. He said they must be brave: that’s what their brother would want from them. He urged them to go ahead with their plans to race that day and most of them obediently did so. But, Jack could not. Instead, for a long time he walked on the beach in front of our house.